Your vehicle deserves expert care from the people who know it better than anyone else. We employ factory-trained technicians who use state-of-the-art technology and equipment to help you keep your vehicle running like new. Trust your vehicle to the Certified Service experts. Simply click here, the button below, or call to schedule an appointment today. Also, we offer competitive prices on popular vehicle services such as oil changes, brakes, and tires! Click here to check our service specials here! With your Multi-Point Vehicle Inspection, you get a thorough assessment of your vehicle by the Certified Service experts. 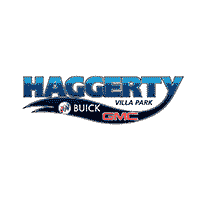 So protect yourself and your automotive investment with a comprehensive vehicle inspection at your Haggerty Buick GMC in Villa Park, IL today. Your vehicle’s tires are the first and only contact with the road, so it is important to choose the right set when replacing them. Haggerty Buick GMC has Certified Service experts that will handle all of your tire needs. From checking tire wear to tire pressure our team can help you find new tires for your vehicle. Stopping power is crucial to a safe and successful driving experience. When you need brake service, visit Haggerty Buick GMC and the GM Certified Service experts can recommend quality new brakes. We are currently updating our Haggerty Specials. Please check back soon.